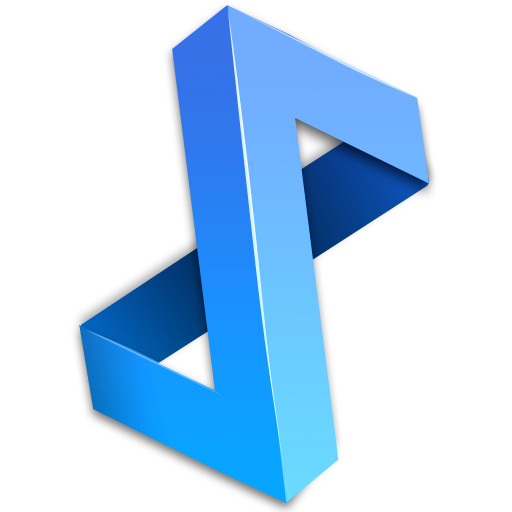 If you have songs or .m3u playlists that are stored on your phone or SD card but don't appear in doubleTwist Player, go to doubleTwist Settings and select "Scan Local Folder". 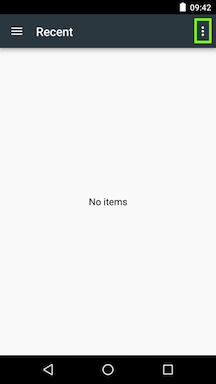 An Android file manager window should appear. 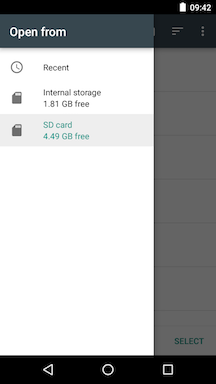 Tap on the 3-line menu icon on the top left to select Internal Storage or SD card (if you have an SD card). 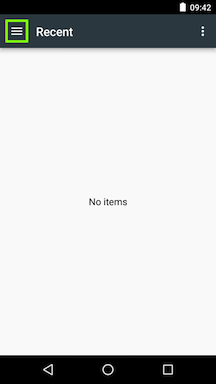 If the SD card isn't showing up, you may need to "unhide" it by tapping on the 3-dot Overflow menu on the top right and selecting the "Show SD card" option. 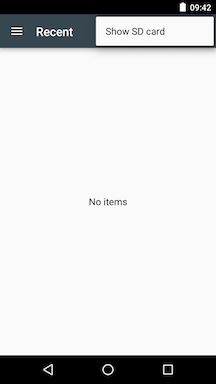 Once you've navigated to the correct /Music folder, tap on "SELECT" to begin scanning. For example, here's what this looks like on our SD card. 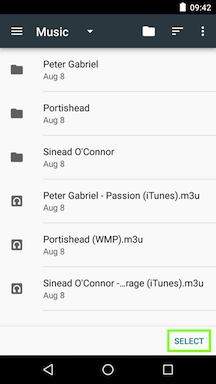 Once the scan is complete, any missing songs or m3u playlists should get imported into your library. If you have preexisting playlists in doubleTwist Player with the same name as the m3u playlists you are trying to import using the "Scan Local Folder" option, they will not be imported into the app to avoid conflicts or overwrite your previous playlists. Rename or delete your old playlists using the 3-dot menu next to the playlist(s) you want to remove/rename. 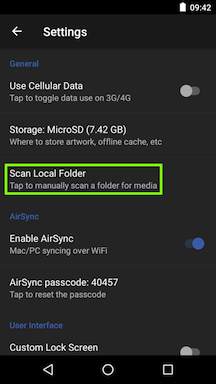 Use the "Scan Local Folder" option in the Settings by following the steps described at the beginning of this article.